Here's 5 free events in September to explore the artistic, creative, and fun side of kids and adults alike. A top exhibit, an interesting festival, a gallery tucked away in a historic building, family fun, and even some tap dancing! Ken Unsworth is a highly experienced Australian Artist who is best known for his sculpture and innovative performances. 'Truly Madly' includes significant works from Unsworth's career, as well as a new work currently under development. This free exhibition will be from the 14th September 2018 to 17th February 2019 at NGV Australia, Federation Square, Ground Level, in the Level 2 & 3 Foyers. 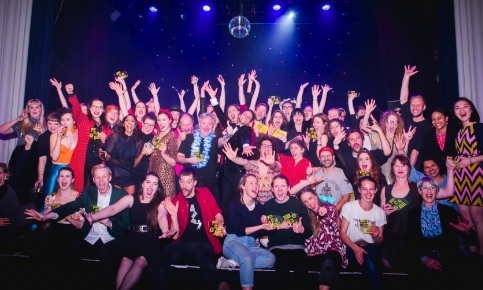 The Melbourne Fringe Festival is an annual showcase of exciting shows and performance across Melbourne this September. As well as a range of free events, there will be free art installations in public spaces that enable viewers to experience a wide cross-section of art from talented Australian artists. The festival will run from September 13th to 30th 2018 at various locations across the Melbourne CBD (artist registration is opening, so refer to the detailed program guide on release). The Australian Tap Dance Festival is an annual event returning on the 29th of September (to October 6th 2018). This festival celebrates novice to advanced dancers and also attracts some of the most famous tap dancers from other countries. Some of the free events include free tap dance classes as well as live performances to be announced. Refer to the program guide for additional information about these free events within the festival. 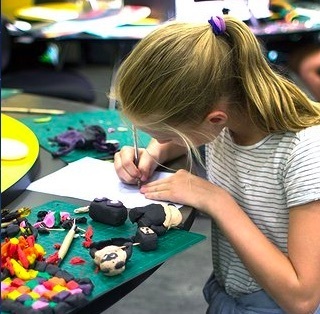 Australian Centre for the Moving Image (ACMI) Family Sundays is a free and fun event. This is an interactive session for children and families who can start an adventure to learn about the moving image. Held monthly, these open days are based around a new theme each month and offer a variety of interesting activities such video games, robots, or family-friendly movies. It's best to check their website to confirm details for September 2018. ACMI is at Federation Square on the corner of Flinders and Swanston Street Melbourne. Family Fun at ACMI in September. Credits: ACMI website. 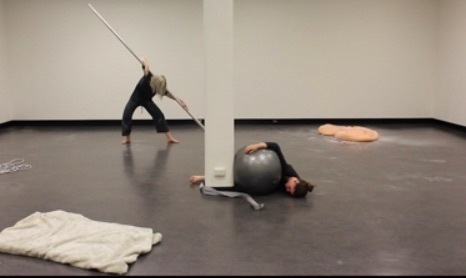 The 'Drip' exhibit by Nabilah Nordin and Zoë Bastin adopts movement as a trope through which to explore gesture in artwork across diverse media. Blindside Gallery is at Room 14, Level 7, in Nicholas Building, at 37 Swanston Street, Melbourne. The exhibit ends on the 8th of September 2018, so this is your last chance to see it. The gallery is open from noon to 6pm, from Tuesdays to Saturdays.